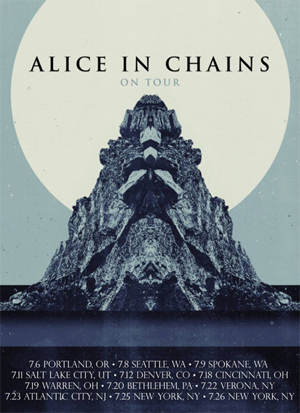 ALICE IN CHAINS has announced the second leg of their North American headlining tour, adding Austin, Las Vegas, Los Angeles, San Antonio and more to a run that begins with five arena shows with GUNS N’ ROSES on June 23rd. The tour includes a second New York City date on July 26th following the immediate sell-out of their July 25th show at the Beacon Theatre. Itinerary below and ticket information can be found at aliceinchains.com.